As part of running my blog and my podcast, I often get questions from readers who want to know more about the early years of our business and how it has evolved over time. How much inventory did we carry early on? Did we run it from our house in the beginning? The answers to all of these questions are actually buried deep within my blog if you have the patience to sift through my first 50-ish entries. Anyway, today I’m going to save you the trouble of digging through the dregs of MyWifeQuitHerJob.com and tell you the story of how it all began. And at the end of this post, I’ll give you a personal tour of our brand new office. My wife and I first started Bumblebee Linens in the bedroom of our rental home. We didn’t do any quality control of our products. We simply ordered linens from China and threw them in a box whenever anyone placed an order. We did all of our packing at night after dinner starting at around 7:30-8pm. And depending on the number of orders, it would take us between 1-3 hours to pack and print shipping labels. Once our orders grew beyond our bedroom, we moved the business into our garage. And with a bunch of cheap 80 dollar racks from Home Depot, we created a warehouse from a space that was about 350 sq ft. I wish I had pictures to show you, but I remember a tightly packed garage with only about 3 ft between each aisle. Space was precious and we tried to maximize the square footage to fit our increasingly larger shipments from China. At the time, we only had 1 embroidery machine which was situated in the living room next to the television set. I would come home from work, have dinner with my wife and then run the machine until the orders were complete. While I was sewing, my wife was packing and shipping. Then the next morning, I would take all of the boxes and drive them to the post office before heading to work. In fact, I went to the post office so often that I became known there as “hanky boy”. And over time, I actually became friends with all of the postal workers. During the holidays, we gave them gifts and in return, they gave me great service and preferential treatment. Always be nice to your postal workers!!! Eventually we outgrew our rental home and in 2009, we bought our first single family home which was something that we wanted to do for over 6 years. Why did it take us 6 years? Housing is notoriously expensive here in the Bay Area. In order to get a reasonable house in a good school district, you pretty much need to spend 7 figures. That’s right! Over here, you need to fork over a million bucks for a tiny little shack! And prior to 2009, the real estate market was super hot. Houses were selling “as is” within 2 or 3 days and many sold for 100% cash and significantly over asking. In fact, it wasn’t unusual to have 7-10 bids per house. Basically, we were priced out of the market. And even though we put down several bids from 2003-2007, they were all denied. Anyway if you recall, 2009 was a low point in the real estate industry and housing demand was almost non-existent so my wife and I decided to try looking for a home yet again. After a tiny bit of remodeling and deodorizing, we moved our business into the garage and living room of our new home. 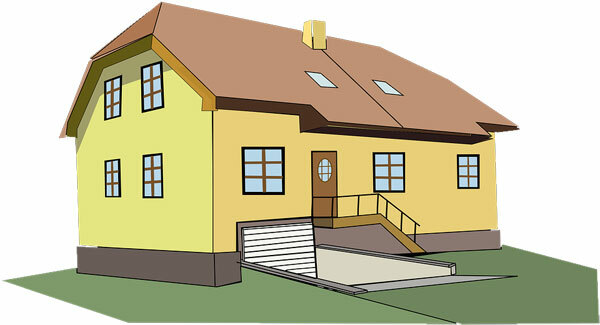 In fact, we purposely chose this house because it had a separate area where we could run our business. We also upgraded to 2 sewing machines, a packing station and more racks to store our products. This was also when we hired our first employee to help with the sewing and packing. Even though you technically aren’t supposed to run a business in a residential area, we had our employee come by in the morning and leave at 5pm. Meanwhile, our second child was born and Jen spent most of her days taking care of both kids. We kept this arrangement for quite a while until my wife finally got fed up with the setup. After all, she wanted to reclaim the living room so we could actually enjoy our new house. I remember at the time, I was dead against moving the business to a real office because I didn’t want to deal with the hassle. One, the rent was free and we’d be saving about $2000/month by running the business out of our house. Anyway realistically, we were running out of garage space and the linens slowly started creeping their way into the house. I remember one time, I put a box of handkerchiefs in our bedroom between the bed and the bathroom and nearly killed myself when I tripped over them on the way to pee in the middle of the night. So finally, we decided to move our business to this tiny little office park in Santa Clara. As soon as we moved, my wife breathed a sigh of relief but I was still skeptical. One, it was a 15 minute commute to the office. And two, we could no longer pack and fulfill last minute orders on demand. In the good ole days, if a customer placed an emergency order at 8pm PST, we could have that baby packed and delivered the next morning. But without instant access to our inventory, this was no longer the case. Overall, this turned out to be a blessing in disguise. Once my wife left the office, the business was out of sight and out of mind. Having additional help also meant that my wife didn’t have to be present and it granted her the flexibility to shuttle our kids around to their various activities. Even though our first office was small, we stayed there until 2016 when we were forced to move. As I mentioned in our last income report, the decision to move offices was very hectic. But we managed to pile our belongings into a newly remodeled facility which should tide us over for another 2-3 years. Anyway last week, I decided to pay a surprise visit to Bumblebee Linens headquarters to film this little impromptu video. Hope you enjoy it. Note: We’re still not fully done with the office but at least everything is organized for you to see. 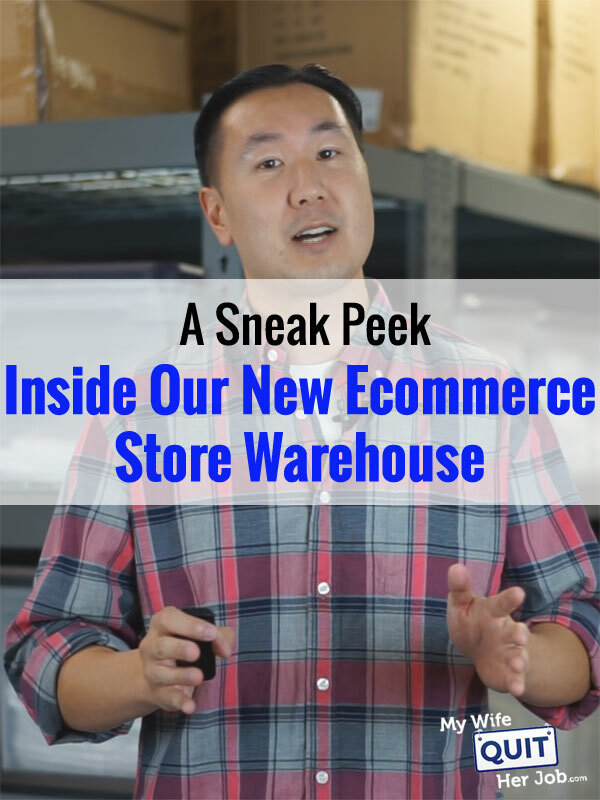 And even though the warehouse looks kind of full, we plan on leveraging Amazon’s warehouse more going forward. Even though our little online wedding linens store is tiny by most business standards, it grants us the flexibility to be present in our kids’ lives which is priceless! Both my wife and I are able to attend all of our kids’ basketball and soccer games. My wife volunteers at our elementary school to keep tabs on their progress and their friends. Our businesses generate more money than we need to live and we are in control of our lifestyle. That’s why we do what we do. Looks awesome. Though I thought you’d give us the opportunity to by some Girl Scout cookies. ? Ha! I can appreciate the transparency sharing that video. It’s nice to see how you’ve grown over the years. Thank you for sharing. Very interesting. Thank you for the tour of your warehouse! Was Bumblebee Linens your first experience with ecommerce or had you tried other online moneymaking opportunities before Bumblebee Linens? Awesome!, Thanks for sharing, I really enjoyed the tour and seeing your utilization of the space. I have just started researching starting an online store and I am so thankful I found your blog. So informative and honest. Thank you for taking the time to help others.